Once again we are hosting Indy Man Beer Con in the glorious surroundings of Victoria Baths. Opened in 1906, this Grade II listed building, features a wondrous assortment of stained glass and glazed tiles, once housed Turkish Baths and Edwardian Swimming Pools. 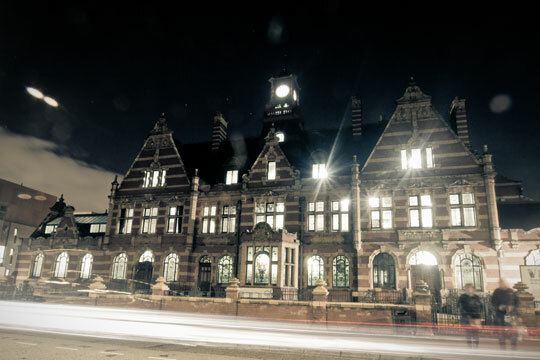 Victoria Baths is just a short journey from Manchester City Centre and here’s a few ways you can get there. There are no lifts within the building but all the main spaces can be visited or viewed from the ground floor. There is adequate parking to the rear. The building now has a fully accessible toilet. Some tasting events and talks will unfortunately take place on the first floor, so will not be fully accessible. The nearest bus route is the number 50 which runs from Manchester City Centre (Princess St) to East Didsbury. Get off at the junction of Upper Brook St, Anson Rd and Hathersage Rd. Walk east along Hathersage Rd to the Baths (1/4 mile). There is very limited parking during the event on Hathersage Road. Remember, please don’t drink and drive.